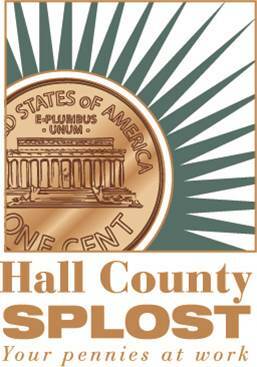 Approximately $29.9 million has been collected in the first year of Hall County’s Special Purpose Local Option Sales Tax (SPLOST) VII, which was approved by voters in March 2015. That’s 4.27 percent (or $1.2 million) more than SPLOST VII was projected to bring in during its first year. “The higher than expected SPLOST VII collections can be attributed to Hall County’s improving economy and on the conservative projections made by County officials and the Georgia Tech economist used to calculate potential SPLOST revenue,” said Hall County Commission Chairman Richard Mecum. An update on the first year collections was given to members of the SPLOST VII Citizen Review Committee on Aug. 9. The committee is charged with ensuring that SPLOST VII projects fulfill the SPLOST VII program as approved by voters. Of the nearly $30 million collected during its first year, $16.4 million has been spent. The expenditures include the first installment of an E-911 Radio System Upgrade, a project that benefits all Hall County citizens since the 911 Center serves both the County’s municipalities and its unincorporated areas. The 911 upgrades include the replacement of out-of-date, unserviceable equipment with the latest in emergency response technology, helping to provide citizens with the most reliable and efficient service possible. First year SPLOST VII expenditures also include the purchase of public safety vehicles and the paving and repair of various roads, streets and bridges, among other projects. “We are pleased to see these tax dollars being spent wisely and in accordance with what was voted on by residents of Hall County and its cities,” said Frank Norton, Jr., chairman of the SPLOST VII Citizen Review Committee. Citizens can view SPLOST VII’s budget and expenditures as of July 31, 2016 on the Hall County website at the link below. SPLOST VII collections began July 1, 2015. The tax is expected to generate $158 million in revenue over the course of five years and is being used to fund specific capital outlay projects in Hall County and its cities.